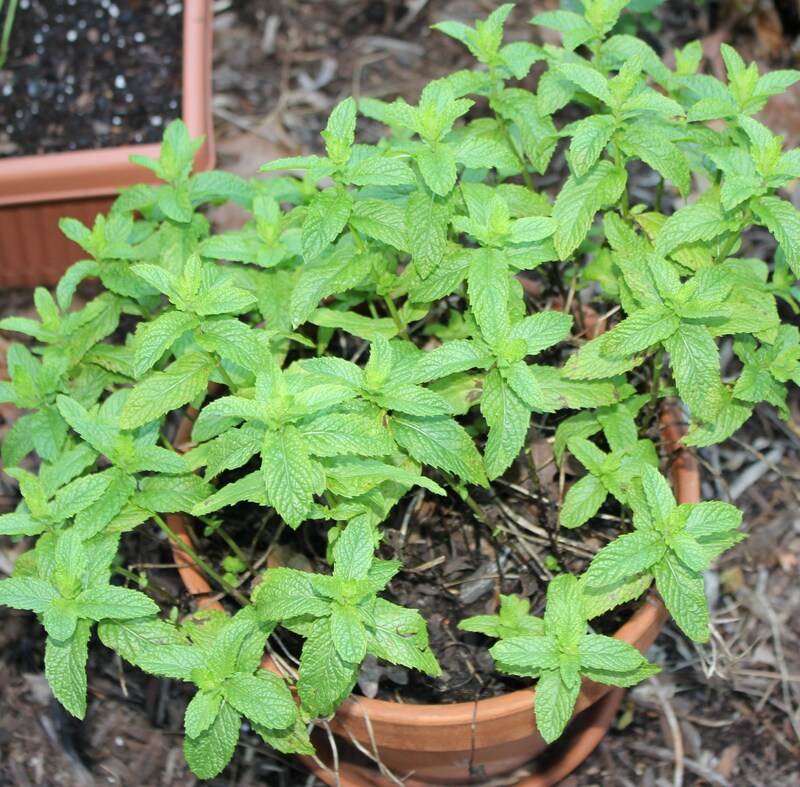 I was taking stock of my container herb garden a few weeks ago to see what I needed to replant, and was happy that my mint was coming back quite nicely. That’s a good thing, because my main use for it is in mojitos, one of my favorite summertime drinks. Now I just needed to decide what new flavor of mojito I was going to make — last year it was pineapple (see my post Mojito Mojo for the recipe) and the year before it was blood orange, both of which are excellent. I decided to go with a melon mojito since I have almost a full bottle of Midori liqueur. Then I thought I’d add some cucumber as well — I love the taste of melon and cucumber together. The result? A cool, refreshing and pretty green cocktail that is not too sweet. Kermit would love it! 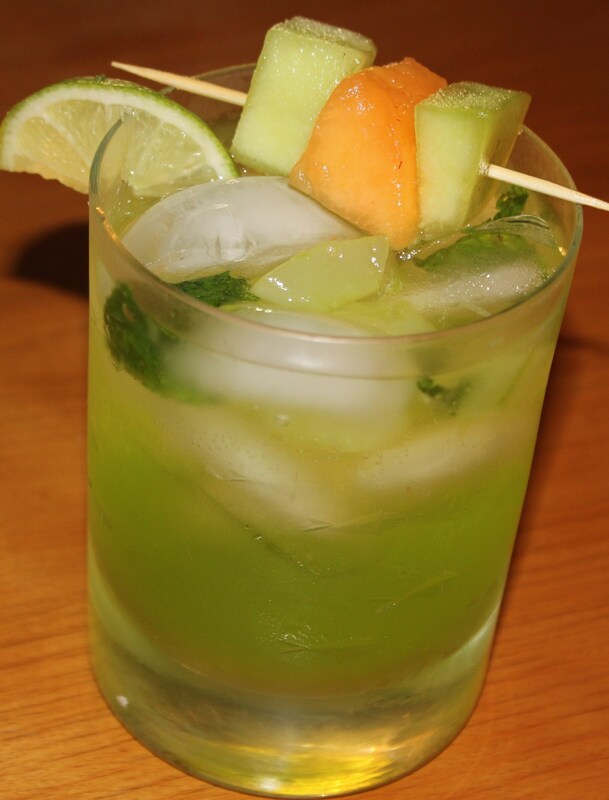 This entry was posted in It's 5:00 Somewhere and tagged cucumber mojitor recipe, eat drink and be merry, it's five o'clock somewhere, kel's cafe of all things food, Kel's cucumber melon mojito, Midori melon mojito, Mojito recipes on June 7, 2013 by kelscafe. St. Patrick’s Day falls on a Sunday this year, so if you don’t want to go out and celebrate the night before the work week begins, or are like me and just want to avoid the crowds, there are some good Irish beers readily available in the Triangle, either in grocery stores or places like Peace Street Market, Bottle Mixx, Bottle Revolution, Total Wine, etc. You can choose among lagers, red ales, cream ales and stouts. 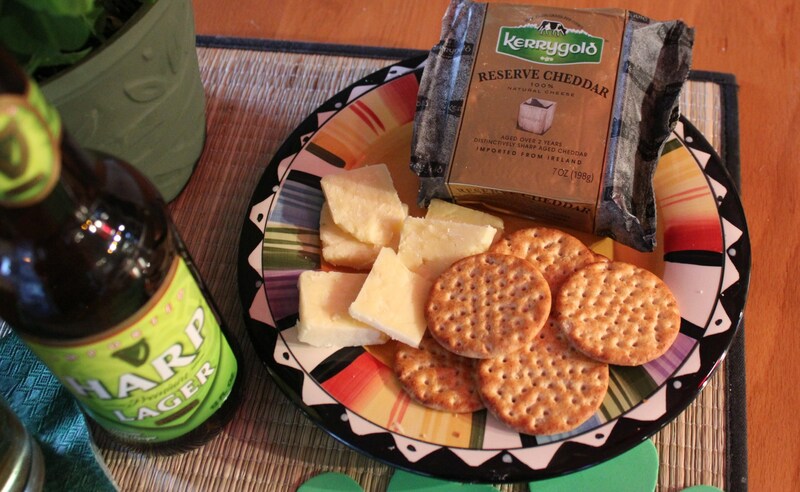 Pick up some Irish cheese (such as yummy Kerrygold cheddar) and crackers and drink to Ireland’s most famous patron saint in the comfort of your home, no driving required! Sláinte agus táinte! For the record, I am no beer expert by any means – I just know what I like and what I don’t. 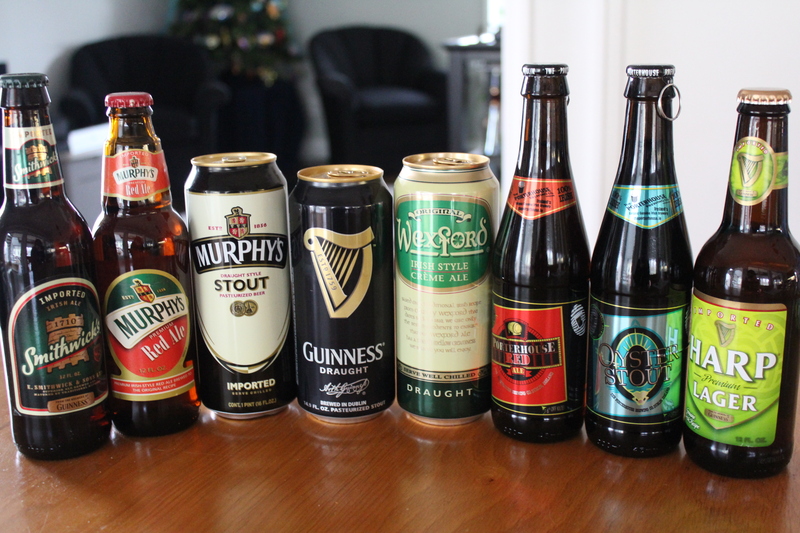 So please keep that in mind as you read my short descriptions of these Irish beers, and check out Beeradvocate’s website if you’d like to see how the experts rate them. Just know I had a lot of fun researching this post! This entry was posted in It's 5:00 Somewhere and tagged eat drink and be merry, Irish beers, Irish lagers, Irish red ales, Irish stout beers, Irish-style beers, kel's cafe of all things food, St. Patrick Day beers on March 14, 2013 by kelscafe. 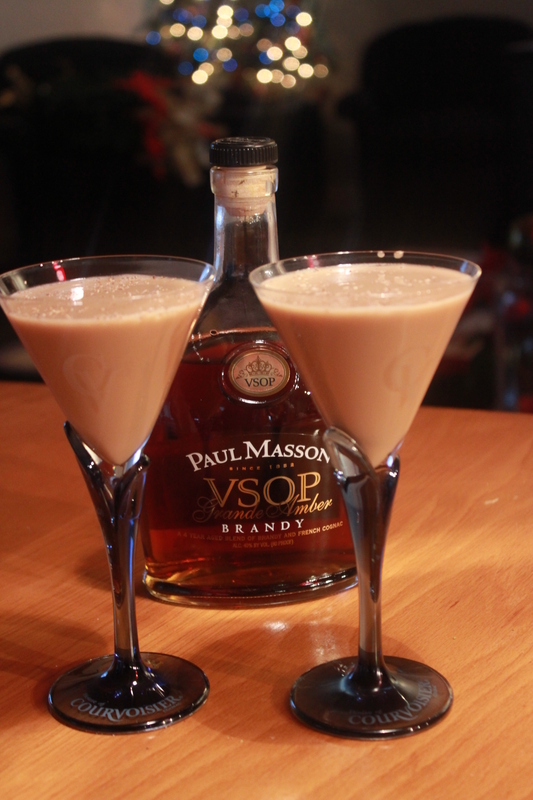 I had just started working part time at The Pub the first time I heard of Brandy Alexanders. This was back in the mid 1980s, when I was going to Library School at UNC-Ch. Being a student, my tastes and definitely my budget leaned toward beer, so I wasn’t really familiar with “fancy” drinks, especially anything containing brandy. That was too grown up for me! 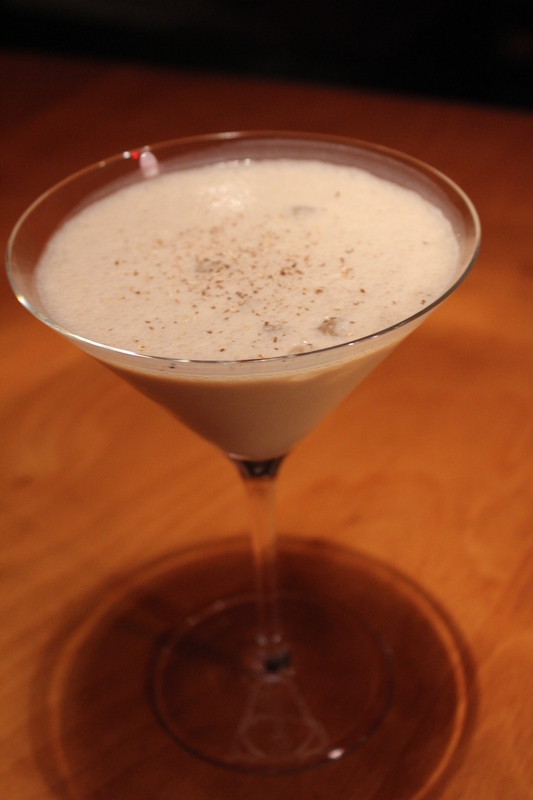 The first person who ordered a Brandy Alexander from me was, of all people, my Mom. I think I’ve seen her drink maybe five times (and that’s stretching it) in 50+ years, so needless to say I was genuinely surprised. I recently asked her if she remembered ordering it and she said, “Oh, yes – it was fantastic!” She said she had wanted to try one for several years and since everyone she was with was with was drinking some sort of alcoholic beverage, she finally decided to take the plunge. When I told JD, our bartender, that my mom normally did not drink, he decided to go next store to the Fast Fare and buy some vanilla ice cream to make the Brandy Alexander extra special. And obviously it was since Mom still remembers how good it was some 25 years later! This entry was posted in It's 5:00 Somewhere and tagged Brandy Alexander cocktails, Brandy Alexander recipes, Brandy Alexanders vanilla ice cream, Brandy cocktail recipes, eat drink and be merry, it's five o'clock somewhere, kel's cafe of all things food, Kelley Chisholm drink recipes, Skinny Brandy Alexanders on January 28, 2013 by kelscafe. The first time I had a Belvedere Bleu was at Margaux’s Restaurant in Raleigh, and I’m going to give the folks there credit for coming up with the name for this great martini. All that’s in it is Belvedere vodka, a minute amount of vermouth and bleu cheese stuffed olives. This entry was posted in It's 5:00 Somewhere and tagged Belvedere Bleu martinis, Belvedere Blues, Belvedere vodka, bleu cheese, bleu cheese olive martinis, bleu cheese stuffed olives, eat drink and be merry, it's five o'clock somewhere, kel's cafe of all things food on December 24, 2012 by kelleychisholm. This entry was posted in It's 5:00 Somewhere and tagged Belvedere Bleu martinis, Belvedere Blues, Belvedere vodka, bleu cheese, bleu cheese olive martinis, bleu cheese stuffed olives, eat drink and be merry, it's five o'clock somewhere, kel's cafe of all things food on December 24, 2012 by kelscafe.